Game of Thrones didn’t do winter’s brand any favors. Not that shoveling snow under gloomy skies has ever gotten people looking forward to winter per se. But now the most-maligned season is also synonymous with ice zombies and the frozen apocalypse and vocal-fry-heavy winter is coming jokes circa September each year. Winter, when done right, is amazing: Look no further than the winter carnivals in places like Quebec, or ski resorts in the Rockies for evidence. But making the most of the cold isn’t limited to the obvious places. Sometimes it means viewing Alaskan wildlife as it emerges from hibernation, or tucking into a warm blues club on a cold Memphis night. There is a special feel to winter that offers experiences like no other time of year. And sometimes finding the best places to do it means thinking a little differently. Here are some overshadowed places nearby and abroad that’ll have you reveling in the cold-weather months. 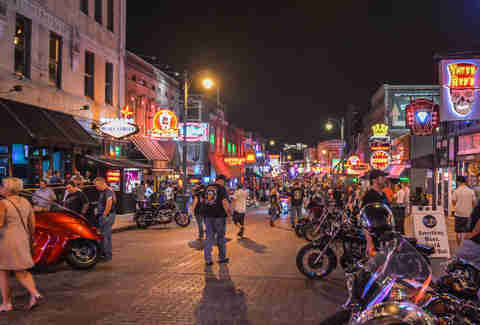 One of the great Memphian experiences one can have is strolling down Beale Street on a cold night and being beckoned inside by a driving blues beat and smoky barbecue. The Delta gets shirt-soaking hot during the summer, making this the finest time of year to experience one of the best music and food cities in America. Tourists aren’t packing the bars, and you can chat with the guy next to you about Memphis, a topic every local loves to discuss until the bartender kicks you out. Once you’ve had the more authentic Beale Street experience, head over to the Memphis Zoo, where a big, tented skating rink sits right in the middle of the exhibits, and for six bucks you can skate among the animals all day. Barbecue tastes especially good in cold weather, so consult the experts for the best spots to hit while you’re there. Even better, head here during Black Restaurant Week in early March, when loads of tiny, hole-in-the-wall spots locals like to keep secret offer three-course menus for $25. In 2018 the city will also be commemorating the 50th anniversary of Martin Luther King Jr.’s assassination, with special events leading up to the April event originating at the National Civil Rights Museum. Seems like a long way to go for a quick winter getaway, but the good news is you don’t need to convince anyone to go with you; Morocco is one of the best places in the world to travel solo, with bustling cities like Marrakesh and Casablanca full of markets, mosques, and a kind of approachable chaos that makes this country a rising star of world tourism. 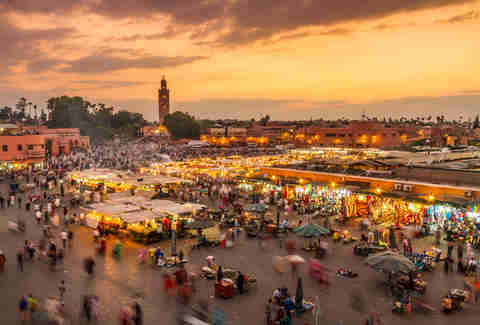 It’s especially inviting in the winter, since the shoulder season means more actual Moroccans than visitors in the bazaars of Marrakesh, and no need for anything warmer than a long-sleeved shirt. 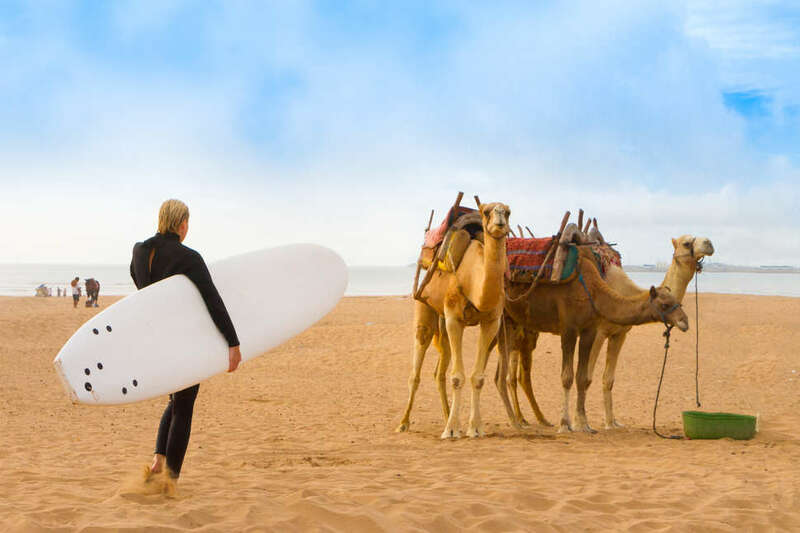 It’s a short trip across the Strait of Gibraltar to Tangier, making the one-time outlaw port city an easy day trip if you’re already in Spain. In the early 20th century, Tangier was a hotspot among poets, writers, and reclusive rich people, and the narrow streets are still filled with the bars and cafes they once roamed. If you’re up for a journey, head up into the Rif mountain region to the blue-washed city of Chefchaouen, one of the most-photographed small cities in the world. Its streets are too narrow for tour buses, and in the winter even the self-guided tourists don’t often make the trip. Going to Utah in the winter isn’t exactly a groundbreaking feat of originality. But foregoing Park City for a place best known for mailing your tax returns? That’s a little different. Ogden’s advantage lies in its anonymity as an old railroad town with a rough western past that was once a drinking outpost away from conservative Salt Lake City. It’s near the oldest continually operating saloon at the Shooting Star, plus the New World Distillery brewing gin, liqueurs, and agave spirits. The bars along historic 25th Street are fun, but the big draw here is the skiing, blissfully light on traffic. At 8,000 acres, Powder Mountain is one of the biggest resorts in North America, and won’t have you dodging snow bunnies on more-challenging runs. Ogden is also home to Nordic Valley, one of the biggest night skiing resorts on the continent, as well Snowbasin, which is offering free lift tickets to anyone who flies there on Alaska Airlines. 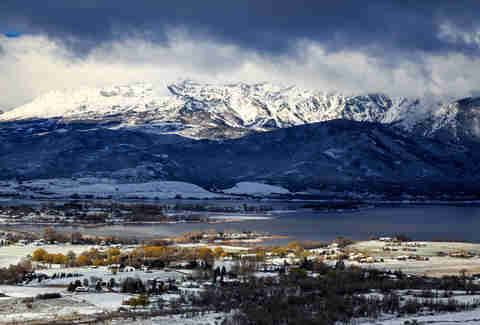 Chic it might not be, but for a pure Utah snow experience, it’s paradise. True, there’s not a whole lot underrated about going to the Big Easy for Mardi Gras in February. However, visiting New Orleans in the non-Mardi Gras winter season is a different kind of fantastic: you can take in the culture, architecture, and culinary delights of the city with mild temps and minimal crowds. Plus, from Ash Wednesday till Easter, you’ll get to experience the almost oxymoronic sensation of prowling this sensual city during Lent, a period of relative detox among New Orleanians. This is a fine time to go if you don’t need to turn the volume up to 11. 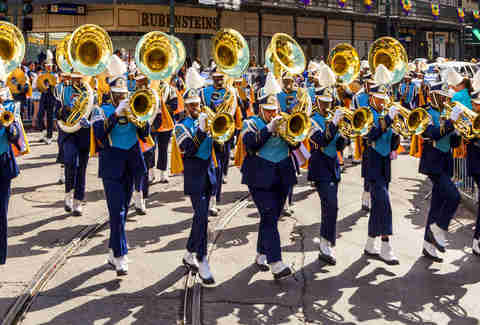 New Orleans celebrates its 300th birthday in 2018, and the festivities kick off with a special mass at the iconic St. Louis Cathedral. January also welcomes the New Orleans Shakespeare festival at Tulane. Or for more-comical performing arts there’s a burlesque opera about the history of Tabasco Sauce at the Petit Theatre. Arts of the modern variety are on display all winter at Prospect4, with provocative art installations in public spaces and museums all over the city. A slew of cheap airfares have hit the Caribbean this winter, and the most exotic among these newly affordable destinations is the thriving country of Barbados. One of the most economically stable islands in the region, Barbados is a lively, colorful, delicious place that’s equal parts authentic and relaxing. Though the country has produced some renowned chefs, food here isn’t unapproachable. Sure, you can go high end for dinner at The Cliff, a fine-dining joint that looks straight out of a Bond film. But you can find just as great a meal from a fish shack on the beach, or at Oistins Fish Fry on Friday nights. Here tourists and locals both jam the port city, where the smell of fresh seafood and soca music fills the air. It’s a perfect beginning to a night out in Barbados, that absolutely needs to include a trip on the Reggae Bus, an island equivalent to the late-night dorm shuttles you remember from college that’ll only run you a dollar. When you’re not eating, Barbados also has the best surfing in the Caribbean outside of Haiti, and the region’s best circuit racing course at Bushy Park. You can sample rum at Mount Gay, the oldest active rum distillery in the world. 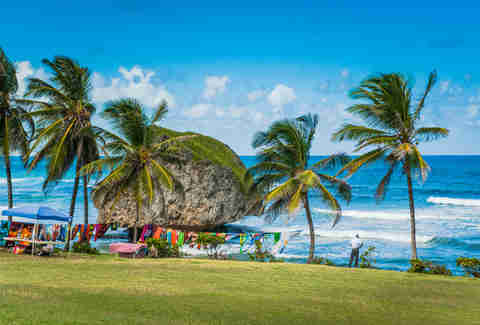 Or just lounge at Bathsheba or Bottom Bay, the idyllic picture of relaxing Caribbean beaches. This little resort town at the foot of Mount Mansfield feels like equal parts ski resort village and Northeastern winter fantasy, where the brick buildings and narrow church steeples lining Downtown get covered in a perfect blanket of white. But visitors still in ski bibs and boots walk the street on their way back from the slopes. 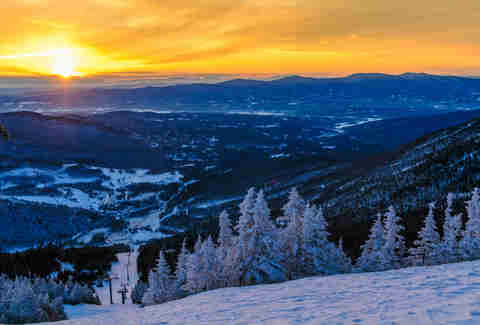 The alpine skiing here is among the best in the Northeast, and the Stowe Mountain Resort has runs suited for beginners, all the way up to double diamonds. Even discriminating Rocky Mountain skiers can find a challenge here, or opt to traverse the 25 miles of trails around one of the biggest Nordic skiing areas in the country. In town, Stowe boasts enough restaurants to have its own October restaurant week, when all the local farms pour ingredients into the kitchens. The restaurants are just as good in winter, and spots like Idletyme Brewing Company and Butler’s Pantry seem strangely packed for a town of fewer than 5,000. It’s an easier trip for northeasterners than points west or south, mixing challenging terrain with a charm that you’ll only find in New England. If you want to get technical, St Patrick’s Day happens in the winter; the spring equinox isn’t until the 21st. 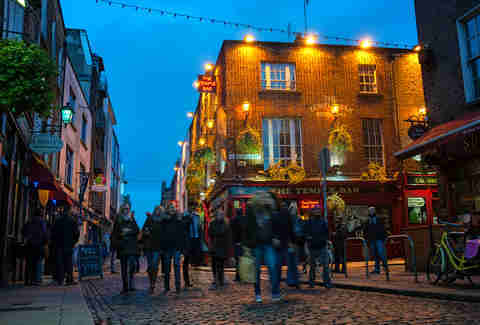 And obviously, doing St. Paddy’s in Dublin is an experience that’ll put any green-beer drinking party at home to shame. Sipping a pint at the Guinness Storehouse on the 17th is pretty much the apex of St. Patrick’s Day experiences, and one that’s far more accessible than it used to be thanks to the glut of discount airlines servicing the city. But even in solid winter, Ireland is great to visit. Without the glut of summer tourists, you can actually enjoy the country without the entire population of whatever US city just launched $99 nonstop flights. The slowdown in tourism also means a lot of your Irish travel fantasies are easier to make happen. Case in point: Here’s a weeklong tour of the Irish countryside where you stay in castles the whole time for under $1,000. If you can’t land a discount flight, winter routes on traditional carriers can be half what a summer ticket costs. Hotels trend about 25% cheaper as well. The natural attractions, like the Cliffs of Moher and Sheepshead Peninsula, are better experienced in winter as well, so your pictures will capture the mist and fog, and not 200 people on a bus tour. Spending cold months in Puerto Rico isn’t a big surprise most years. But 2017 wasn’t most years. The last visions we saw of the Isle of Enchantment were of flooded streets, houses without roofs, and people doing laundry on washboards by candlelight. 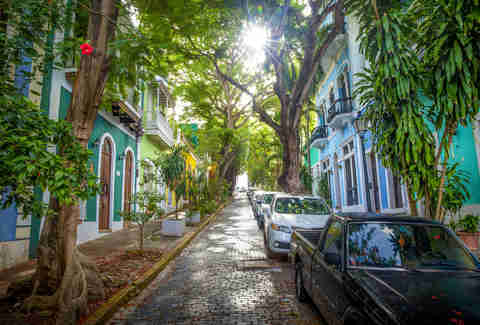 Things have improved dramatically since then, and since December, San Juan has announced itself as back open for business with nearly all of the hotels and attractions that made this city so special up and running. Flights to the island are still pretty empty, if not deeply discounted, so you’ll pay for one seat but probably get three. Once you’re there, locals will treat you like a VIP everywhere you go, as visitors coming back are the most welcomed kind of foreign aid. So go ahead and stroll old San Juan, past the fortresses at Castillo San Cristobal and San Felipe del Morro. Check out the beaches at Culebra, a short boat ride away. Or take a sail around the island or snorkel off the coast; the water is clear now and the marine life just as brilliant and tropical as it was a year ago. Visiting San Juan now is a look into what it takes to come back from a monstrous natural disaster, and a chance to have this rare window into the resilience of its people to yourself. It also might be the best thing you can do to help the island recover. At first glance, the thought of winter in Alaska sounds about as appealing as monsoon season in Calcutta. 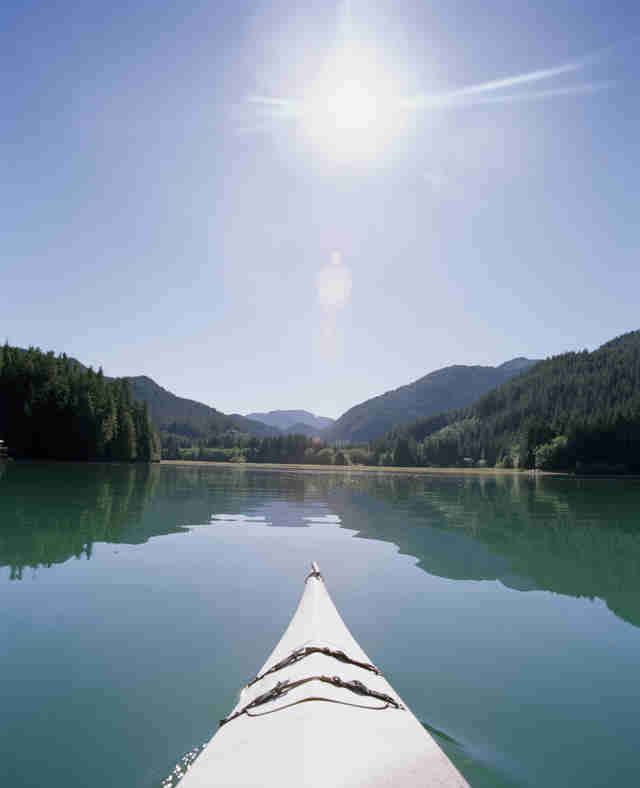 But go a little later in the season, and it might be the best-kept secret in travel. The aurora borealis is at one of its most active times of the year from late February into early March, and the short days mean more hours when you might catch the show. While Sitka’s skies aren’t always clear, the temperatures here are still mild, more like Seattle than the frozen tundra. Catch it on a cold, clear day, and you’ll see the lights minus the bone-chilling cold. The main event of winter here is the Pacific Herring Migration, when Pacific herring converge on Sitka Sound. The fish themselves are pretty unremarkable, but in March and April bald eagles, bears, whales, and seals come here en masse to feed, making it the most intense Alaskan wildlife viewing experience you can get. Because big cruise ships don’t typically run until about May, you won’t be sharing the sound with an armada of megaships; the only cruise line that runs a trip is a 10-passenger boat from Alaskan Dream Cruises. With a warm jacket and a good set of binoculars, winter in Sitka can be the best time of year to see Alaska in the raw. Matt Meltzer is a contributing writer at Thrillist. Follow him on Instagram @meltrez1.